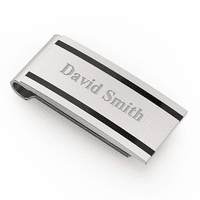 The man who loves contemporary, yet timeless, fashion accessories will want to include this sleek and sophisticated money clip! 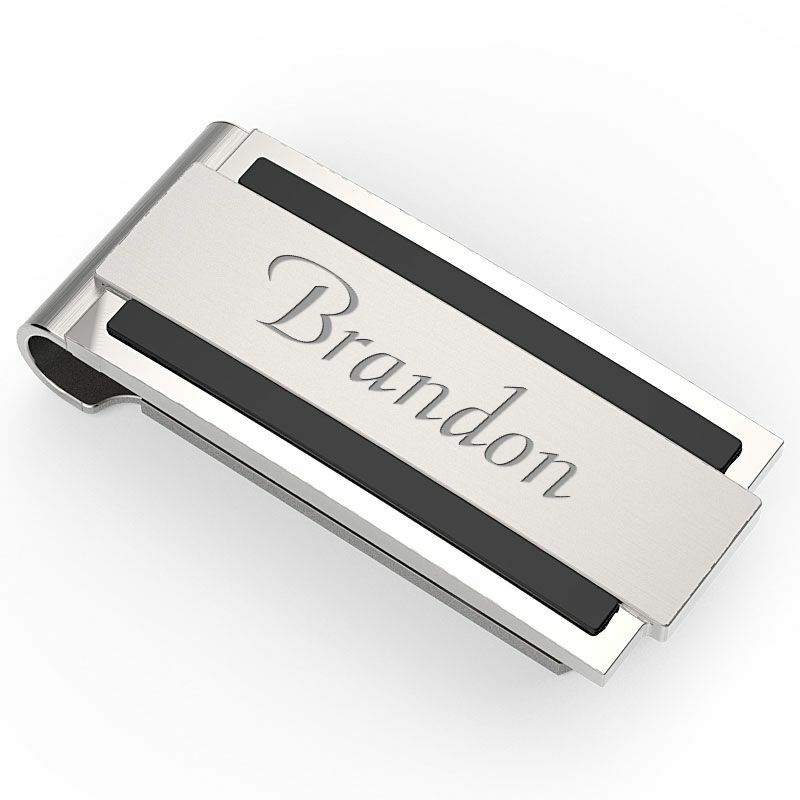 The brushed titanium and polished stainless steel combine to create a distinctive design that is the perfect backdrop for engraving a name or initials on the top plate, at no extra charge! 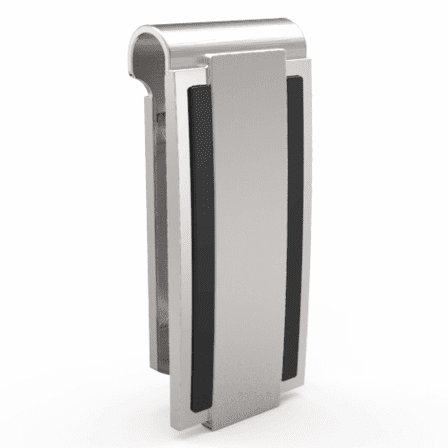 The spring-loaded mechanism holds up to 25 folded bills, and allows for easy adding and removal of cash. 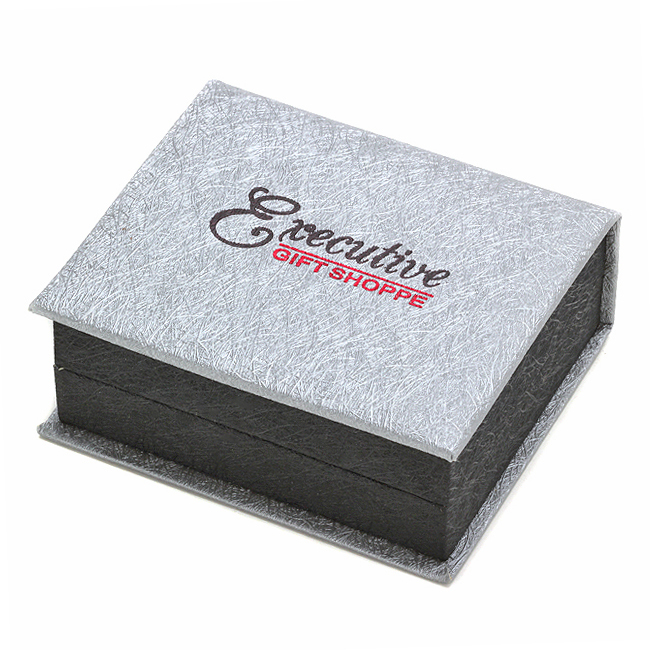 Clients and friends are sure to notice this elegant money clip, as well as your impeccable sense of style! When will you have this product in stock? We should have it back in stock in March. We'll make it live to order as soon as its back in stock. Does the shipping time include engraving? Yes it does. This money clip ships out the next business day, even with engraving. We should have more in stock around July 15th, 2014. We'll make this item orderable as soon as they are back in stock. When is this expected to be in stock? We are hoping to have this back in stock within one month. As soon as its back in stock, it will be updated so you can add it to the shopping cart. Can this product hold a credit card for travel? Yes, absolutely, it would slide into the spring loaded grip the same way that a wad of folded bills would. How do I supply my requested engraving text? You'll just need to check the Personalize box right above the Add to Cart button before adding it to the shopping cart. This holds only 10-15 bills? All of the others hold up to 25. This is a mis-print and we're fixing it. This money clip will hold up to 25 folded bills easily. I have always used money clips, even though sometimes it is nothing more than a rubber band wrapped around a Credit card. This clip is smart looking and does the job very well. It holds small amounts and large amounts of bill equally well. Until a few months ago I ignored money clips, after getting this one I won't be without it. 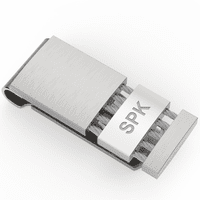 The spring used is perfect and holds securely and yet doesn't mess up the bills. Great price, nice quality and with engraving a plus!. Money clip came in a nice box. I purchased this as a birthday gift for my adult son, he loved it! Excellent customer service and fast delivery. Was better than expected. The guy that received this money clip was absolutely excited and thrilled. He loved it. Second time I've ordered from your company. Extremely pleased with quality, product and customer service. Gave this as a gift for my son. Said he loves the money clip! The money clip arrived in good time and my husband is very pleased with it. All in all a very satisfactory experience. 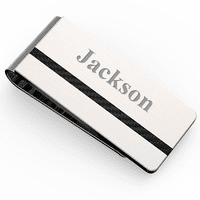 I love this money clip. My wife got it for me for my birthday and had it engraved with my initials. It holds all my cash and a few credit cards too and isn't bulky.